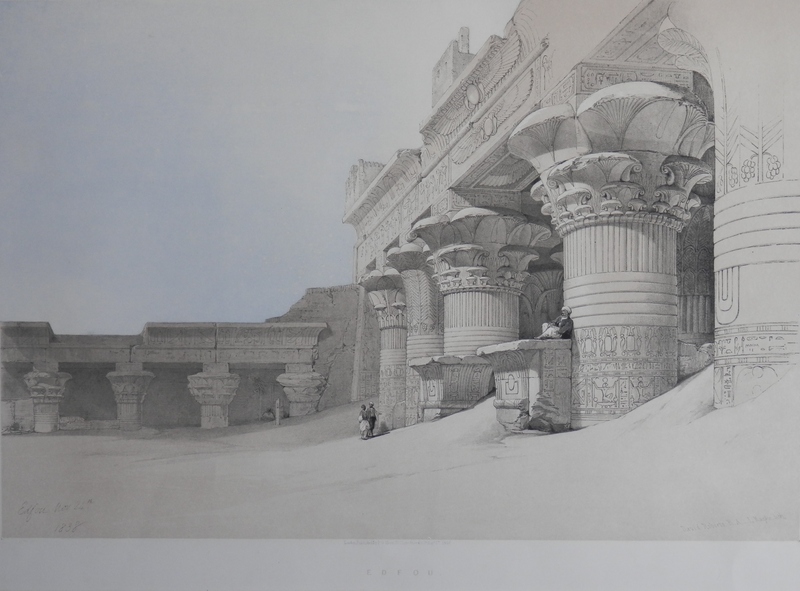 If one were to begin collecting lithographs, one could do worse than beginning with #DavidRoberts (1796-1864) lithographs created by #LouisHaghe (1806-1885). Roberts is known for his depictions of Egypt, the Near East and the Holy Land. After apprenticing as a painter and decorator during the day and studying art at night, Roberts eventually found work as a painter of sets and scenery for theatres. The Pantheon in Edinburgh and the Theatre Royal in Glasgow came before a move to London to work at the Coburg (Old Vic) Theatre. By 1829, Roberts was making his living as an artist – one with a fine reputation. Roberts travelled to France, the Low Countries, and Spain producing paintings and sketches some of which were reproduced in lithograph. 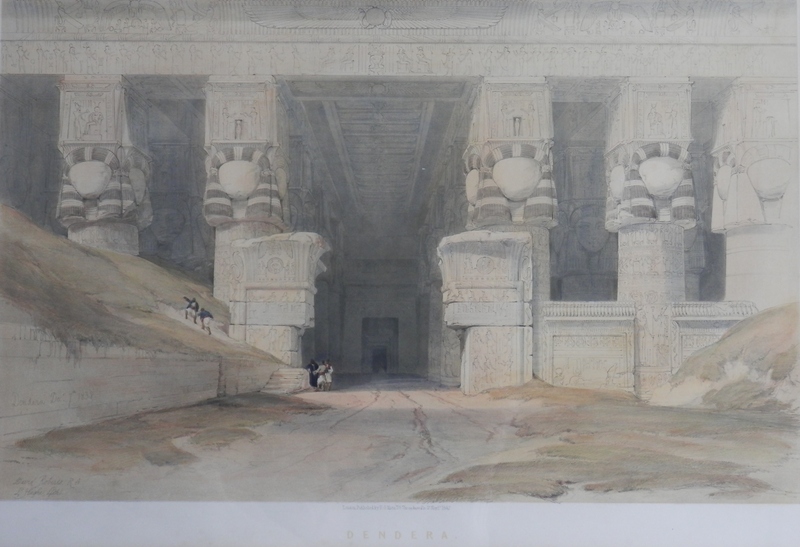 It was JMW Turner who convinced Roberts to become a full-time artist and the result was Robert’s travelling to Egypt. The intent was to create drawings and sketches which would later become paintings and lithographs available to the public. A vast number of drawings and watercolour sketches were produced and on his return to England a collaboration with lithographer Louis Haghe was established. The lavishly illustrated plates were created between 1842 and 1849. The images of Egypt and the Holy Land were quite popular in Britain and as luck would have it, Roberts published prior to early photographers also publishing images. One can easily appreciate the quality not only of Roberts’ drawings but also Haghe’s lithographs from the three images presented here. 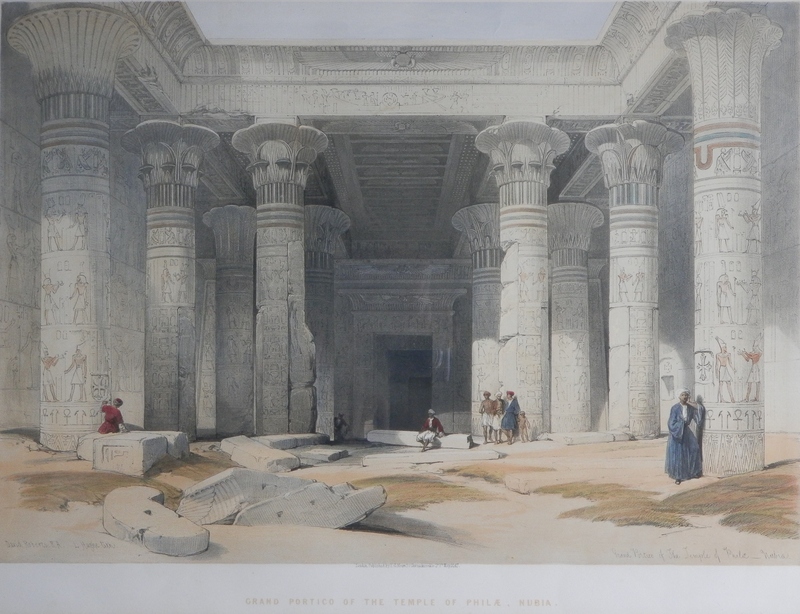 This entry was posted in Lithographs and tagged Arab, David Roberts, Dendera, desert, Edfou, Egypt, Louis Haghe, Nubia, Philae, portico, sand, temple. Bookmark the permalink.